Join Stoke Travel as they take you on a romantic cruise on their Champagne Sunset Boat Party! Experience an evening in Barcelona unlike any other. Beautiful coastal views and a scenic sunset, pair this with a glass of champagne and traditional Spanish Paella. Enjoy a stellar music set up with live musicians and dance the evening away. Talk about the perfect date night, or friends getaway. Keep it intimate or get to know new friends from an international crowd. Set sail into a beautiful sunset. This tour requires a booking reservation. 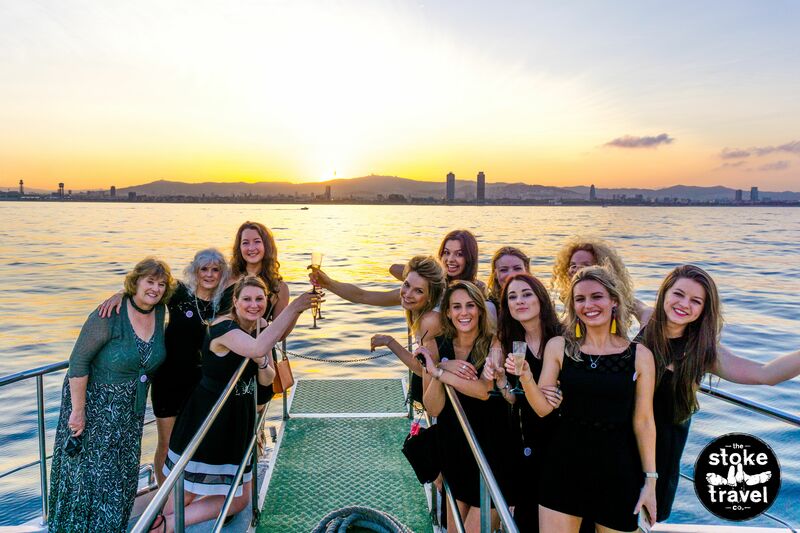 The Champagne Sunset Boat Party is hosted by our partners at Stoke Travel.